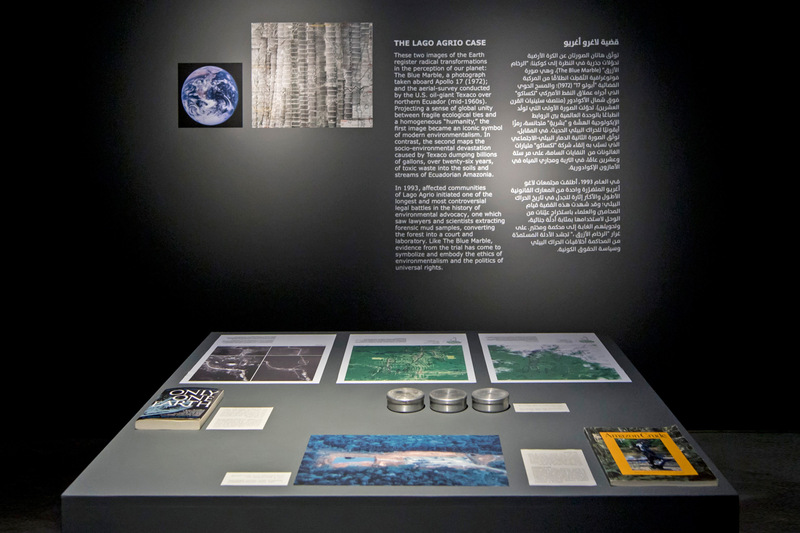 As an artist, writer and video essayist, Ursula Biemann’s research and work examine the interrelated ecologies of oil, forest, ice and water through the lens of climate change. On this project, she collaborates with architect and urbanist Paulo Tavares, whose work is concerned with the relations between conflict and space, as they intersect within the multi-scalar arrangements of cities, territories and ecologies. 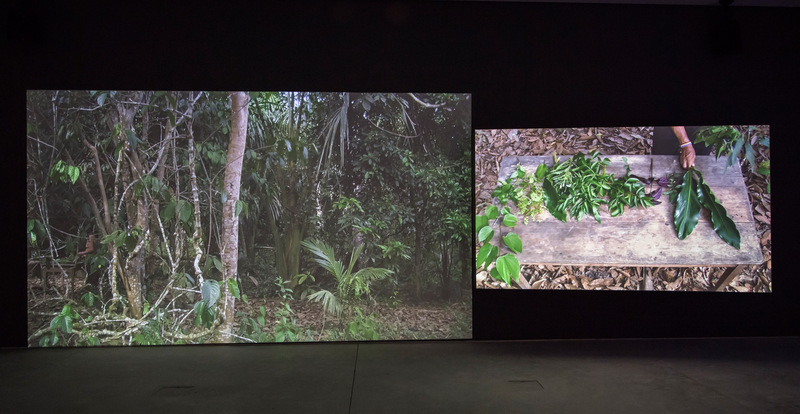 Forest Law (2014) is a two-channel video projection that draws on research carried out in the frontiers of the Ecuadorian rainforest, where the Amazon floodplains meet the Andean mountains. This border zone is one of the most biodiverse and resource-rich regions on Earth and is currently under extreme pressure from the dramatic expansion of large-scale mineral and oil extraction. Underpinning the work is a series of landmark legal cases that bring the forest and its indigenous leaders, lawyers and scientists to court. 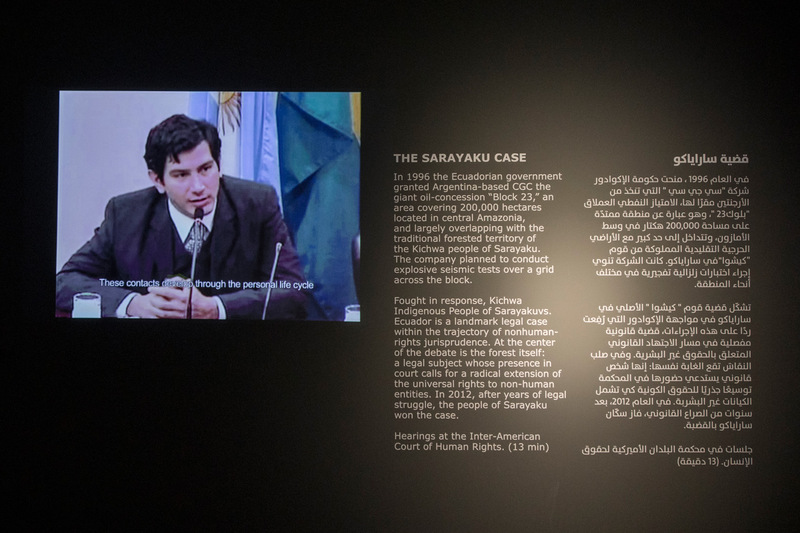 Included is a particular case won by the Sarayaku people, who argued for the centrality of the ‘living forest’ in their community’s cosmology, modes of being and ecological survival.  Nature, the Sarayaku argued, is not simply a passive backdrop upon which political and economic disputes play out but rather a legal subject bearing rights of its own. 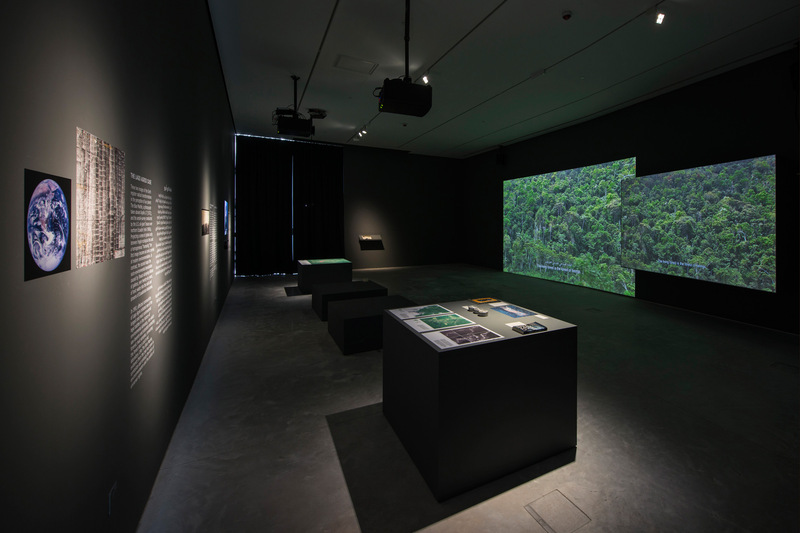 The video is accompanied by an installation of maps and documents as well as a publication. 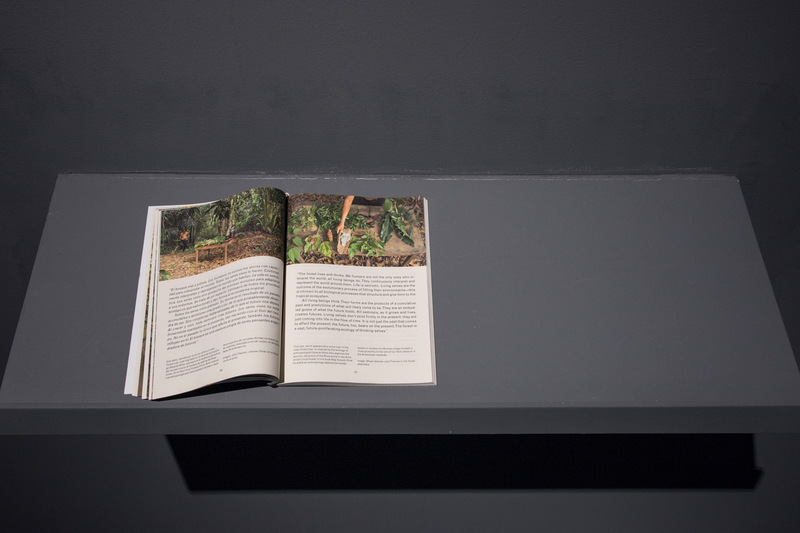 Taken together, the collection of personal testimonies and factual evidence renders the forest a physical, legal and cosmological entity. 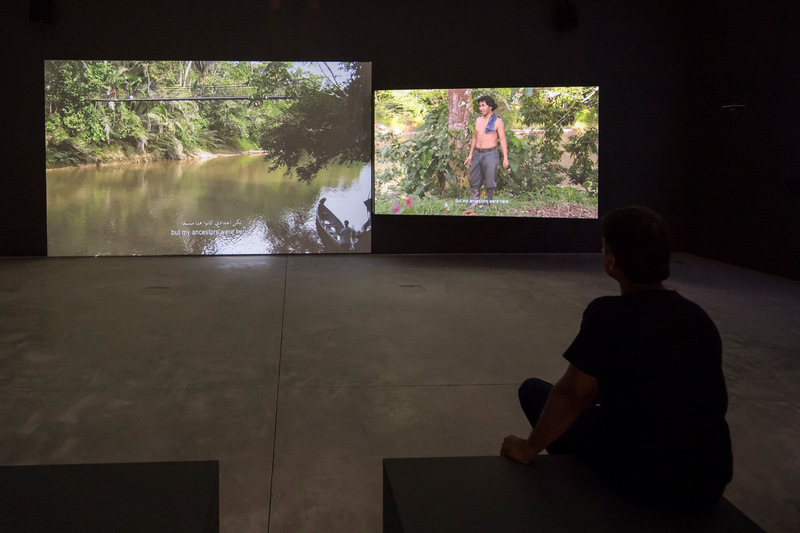 The research-oriented practice of artist, writer and video essayist Ursula Biemann has centred on migration, mobility, technology, gender and ecology.